This article is adapted from remarks made by Fu Ying to the Berggruen Institute's 2nd Understanding China conference held in Beijing November 1-3, 2015. BEIJING -- Debates are going on the two sides of the Pacific, in China and in the U.S., about the future world order. On the part of the U.S. the core issue is how to maintain its world dominance. Out of its natural fear of the traditional model of power transition, the U.S. is deeply concerned whether it can remain strong and whether the newly rising powers will compete for world dominance with the U.S.. So some suggest that the U.S. may need a new grand strategy. In China, this debate is more about how to improve the international order and the global governance. After more than three decades of fast growth, the country is experiencing unprecedented changes in its international surroundings. The world is again at the historical doorstep of major changes not only in conventional and non-conventional fields, but also in global and regional arenas, within and around countries, and at physical and spiritual levels. Many in China have realized that the country is one of the driving forces for global changes and is having growing influence on international affairs. China has neither the intention nor ability to overturn the existing order. The Chinese public has great interest to learn and develop an international vision. Recently, President Barack Obama said: if we don't make rules, the Chinese will. Amazingly enough, this remark has prompted the people in China to find out what the rules are, how they are affecting us and what we should do. Many Chinese scholars are also working on the theoretical basis for future order. The U.S., on the one hand, is full of doubt on the intention of China as a newly rising large economy, worrying deeply that China may challenge its leadership and create a new set of rules and another order for the world. China, on the other hand, has repeatedly stated that as a member of the international order, China has adhered to its rules and benefits from it. It has neither the intention nor ability to overturn the existing order. China and the U.S. appear to be talking past each other on this issue. So, are they talking about the same thing? Is "the world order" the U.S. claims to lead and "the international order" China identifies to the same order system? The answer is both "yes" and "no." The general understanding is that "the U.S.-led world order" is a global hegemonic power system, which not only includes existing international trade and monetary institutions, but also is underpinned with American values and its global military alliance structure. The Western countries are its main components and beneficiaries. We have to give credit to this order system for its role in keeping peace and bringing prosperity in many parts of the planet after World War II, as well as in powering globalization. But this order system is not all-inclusive and is increasingly showing its limitations against a world full of new realities. At the same time, its exclusiveness is also undermining the legitimacy of the U.S. leadership. Take China, for example. The U.S. regards China as a newly rising power and wants China to accept its leadership and act as a subordinate partner in certain areas. But, in the meantime, China is politically treated as an alien and militarily seen as a potential target. Some of its alliances show the intention to take China as the source of security threat. One needs to note that the term China uses is "international order" or "international system." What China is referring to is the international institutions within the United Nations structure to which China is an equal member and has a sense of belonging. China is also an important initiator and contributor to this order. Chinese President Xi Jinping, when visiting the U.S. in September this year, expressed his views at the United Nations General Assembly. He said China will remain a staunch defender of the international order; we will continue to uphold the international order and system underpinned by the purposes and principles of the U.N. Charter. Indeed, most of what China offers to the world, be it in the economic field or in the security fields, revolves around the U.N. system and is under the U.N. auspices. Obviously, there is some truth in both order perceptions, and there is a big overlap between the so-called world order and the international order as well. The U.S. is the original designer and main supporter of the U.N. system. Though it finds itself unable to completely control the system and sometimes bypasses it, the U.S. still takes the U.N. system as an indispensable body for international coordination. As for China, it achieved leapfrog growth within the existing international order and China's future opportunities for development come from it. It also offers China the platform for exercising greater international role. So China has every reason to continue supporting and participating in the international order and system. However, we have to admit that the order structures, whether the "world order" or the "international order," can no longer cope with the complicated challenges facing mankind. Refugees and migrants arrive on the Greek island of Lesbos. ARIS MESSINIS/AFP/Getty Images. Take Syria, for example. All kinds of elements of turbulence have emerged in this single country -- religious extremism, terrorism, humanitarian crisis, outside interference, system transplant, regime change and what not. There can be no single solution to such a difficult crisis. The United Nations, which has just passed its 70th year, has played an irreplaceable role for maintaining peace and promoting development. However, it is unable to overcome the structural flaws which came with its birth. And nowadays, the U.N. finds itself increasingly unable to meet the global challenges the world faces. Take, for example, when the international financial crisis broke out in 2008, the U.N. and its institutions did not do much in terms of early warning, nor did it play a significant role in countering the crisis. On the issue of climate change, the U.N. has not been very effective in pushing the follow-up negotiations of the Kyoto protocol to fruition. The international system and governance has come to a stage of reform. And the Chinese people want to join this effort at its forefront. But, reforming does not mean discarding everything or complete replacement. What is needed is to improve and update. Or, reshaping may be a better word. Earlier in the month, the Politburo of the Chinese Communist Party Central Committee invited Professor Qin Yaqing, president of the Foreign Affairs University, to give a lecture on global governance. President Xi Jinping spoke after the lecture. He said: "Global governance reform is at a turning point, and reform and changes are inevitable ... Global affairs increasingly need to be addressed by countries concerned and through working together." He also reminded us, the Chinese people, that, "we should be aware of not only our own needs for the world, but also the international community's expectations of China." China is already consciously making moves to participate in the reshaping and enriching of the current international institutions. For example, China is expecting to expand its voting power in the World Bank and IMF. China has also offered, together with other countries, such public goods as the "Belt and Road" projects, the Asia Infrastructure Investment Bank and the BRICS New Development Bank. The Ebola pandemic of 2014, which first broke out in West Africa, overstretched the international health regime. And China was the first to send medical teams together with financial support, which was essential to controlling the crisis. 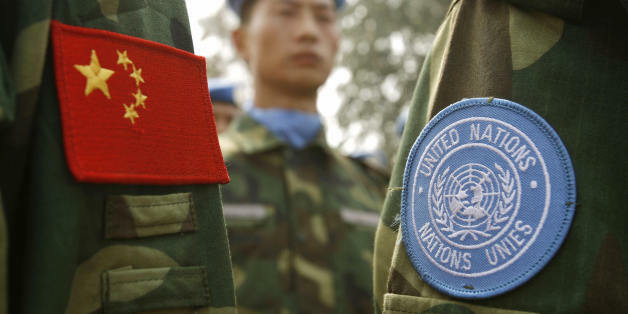 President Xi Jinping announced assistance by the Chinese government, including committing $1 billion to a 10-year joint China-U.N. peace and development fund and pledging 8,000 troops to a United Nations peacekeeping standby force. China will also provide $100 million in military assistance for African Union peacekeeping missions in the next five years. In 2016 China will host the G-20 summit. This is the first time China will be chairing this important global macro-economic policy coordination forum. It will be a good opportunity for creative and constructive improvements in global governance. It can be expected that China will, as it maintains its own growth, undertake more international responsibilities. So, what kind of order we do we want for the future world? Instead of debating about which order concept is better and which should prevail, we may go beyond the debate and create a new overarching concept, like "a global order." It should accommodate as much as possible global governance, world power coordination, regional cooperation, North-South dialogue, etc. Everything and anything that is needed for this multi-faceted era can be included and every country and region's concerns and interest accommodated. It should provide a common roof for all. This common roof of global order should at least have three major institutional capabilities: to guarantee world peace; to ensure global sustainable development; and to ensure that all solutions to problems be found through cooperation. It should be constructed around three pillars: major country coordination, full role for multilateral frameworks and habits and norms of cooperation. President Xi Jinping has mentioned many times the concepts of "community of interests" and a "community of shared future," emphasizing win-win cooperation and common development. So under this common roof, the world should be in a global community of common interest heading to a shared future. Under this common roof, the world should be in a global community of common interest heading to a shared future. Whatever the future shape of the global order, the U.S., which is the most powerful country in the world and also a dominant player in the existing order, will be the key party. The challenge for the U.S. is huge. For example, can the U.S. update its thinking and behavior and come out of its small club of interest? Can it avoid being hijacked by the perceived moral worth of its efforts or the interest of its allies at the cost of others? For China, which is the biggest developing country and newly ascendant on the world stage, the challenge may be bigger. China lacks experience as a world power in the modern sense. It needs to expand its international vision, especially at the general public level. We should look after our own interest, but we should also be able to look beyond the horizon to think about wider interests. We also need to grow out of the victim syndrome, which is a cocoon of history. 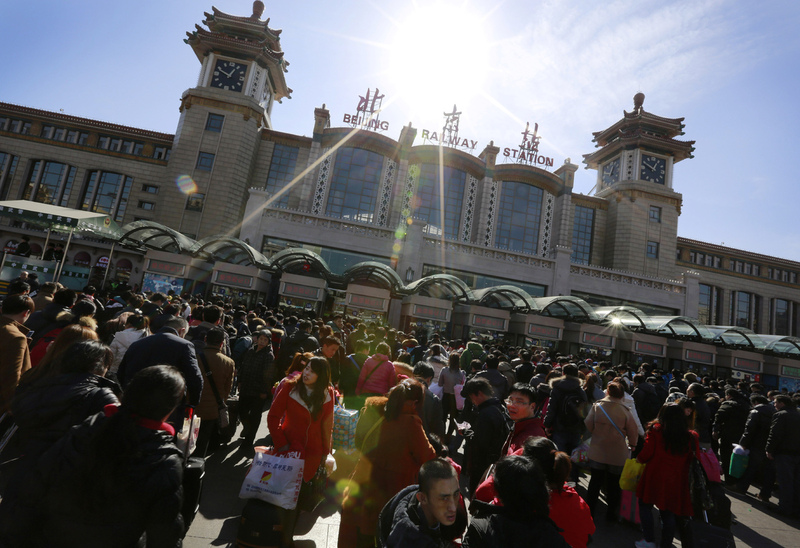 China needs to grow into the role as a world citizen. All this needs time. The success of the future global order depends very much on whether China and the U.S. can have sincere dialogue and cooperation. In today's world, the two countries have extensive cooperation, and also conflicting interests and competition. The China-U.S. cooperation benefits the world, and any conflict, if not properly managed, may bring risk to wider spheres. Now, for example, danger looms on the South China Sea. The U.S. regards China's behavior to safeguard its territorial and maritime interest as strategically expansionist activities aimed at controlling the whole region, and is trying to counter them accordingly. China regards the U.S. sending a military vessel near the Chinese features as a provocative gesture. The act and counter-act aggravates the situation and the very contradictory perceptions of each other's intentions are pouring oil to the flames in the region, which is already troubled by conflicting territorial and maritime claims. But maybe,in another way, this is also a way of sending stronger signal to each other about the need of coordination between China and the U.S., and the need to improve understanding and trust. The fact that the two militaries are meeting and talking with each other gives us hope that the two countries may find a better way to address such differences. And a new pattern of order may grow out of such encounters. We need to grow out of the victim syndrome, which is a cocoon of history. China needs to grow into the role as a world citizen. It may not yet be possible to predict the future picture for the world and whether the shape of the new global order can come into view, but by countries talking to each other there is hope that the international community can gradually form a consensus about a structure that may ensure that the 21st century can truly be one of peace and prosperity. More than 30 years ago, when China entered into unprecedented reform, Deng Xiaoping used the metaphor, "crossing the river by feeling for the stones." Now we may need a similar approach in shaping a new global order. China needs to build up experience in participating in the international order and international governance, and it needs to learn -- and learn fast. China also needs to come up with its own narratives to allow the world to read and understand China better, which is an indispensable basis for sound international cooperation.